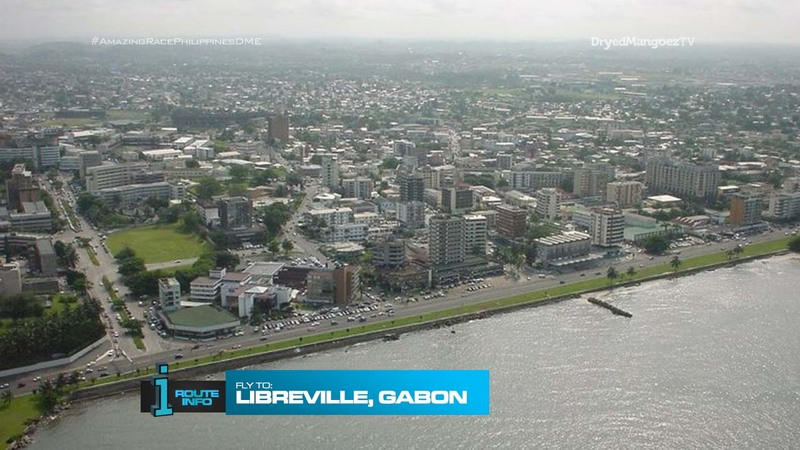 Teams set off on the 5th Leg of the Race by opening the first clue telling them they’ll be flying to Libreville, Gabon! Teams will all be on the same Turkish Airlines flights via Istanbul, arriving in Libreville at 10:35pm. 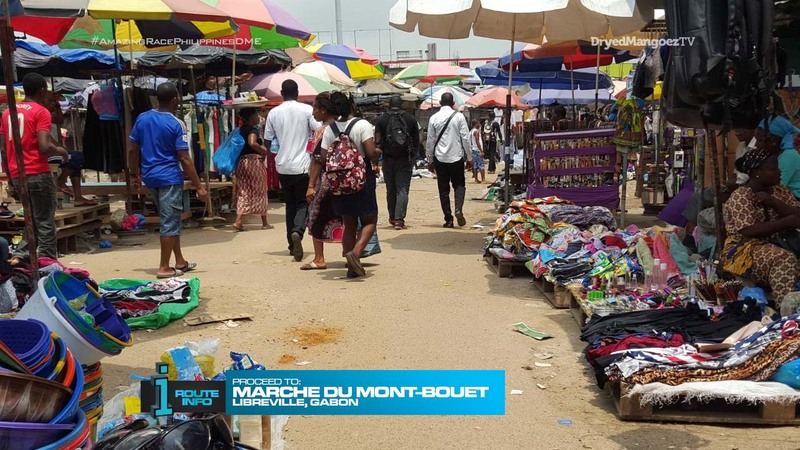 Once in Libreville, teams must make their way to Marche du Mont-Bouet. BUT! The market opens at 8am! The cluebox will not be filled until tomorrow morning. That cluebox will have the Detour: Shopping or Haul. 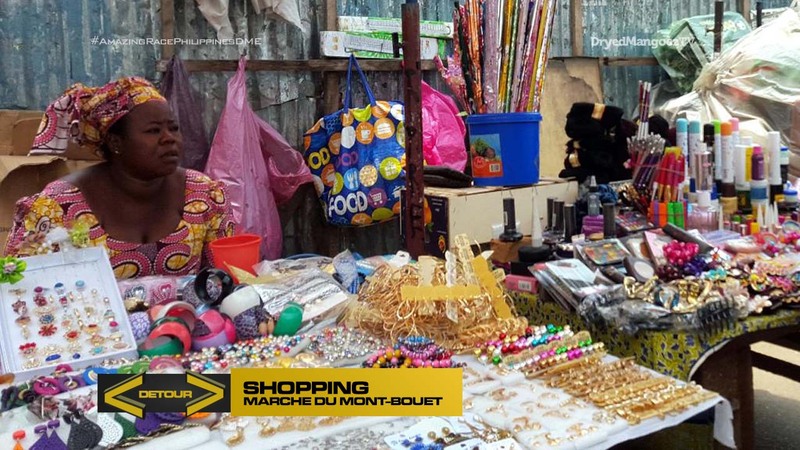 In Shopping, teams will be given a shopping list in French and English. Using the provided amount of money, teams must search the market for items and pack them into a box to be given to a local school. Once approved, they will be given the next clue. If the provided money runs out before they can buy all their listed items, teams must use their own money. This is also the Trigger Point for this Leg of the Race. If any teams have to use their own money, the U-Turn or Yield will be activated on the next Leg. 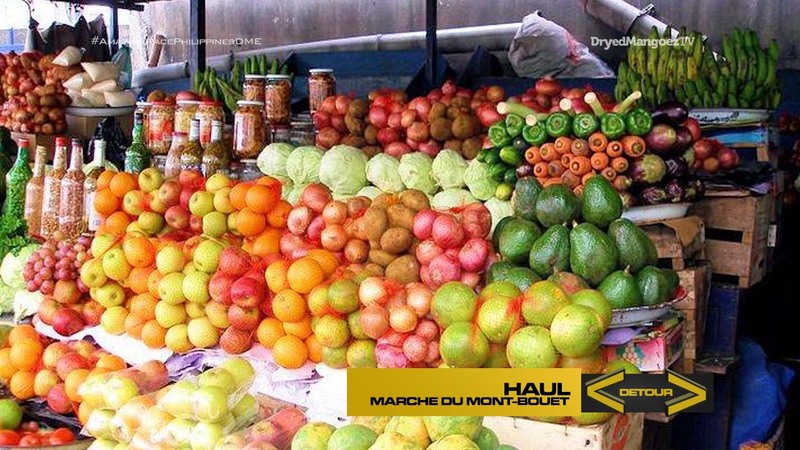 In Haul, teams must locate this marked truck and deliver two boxes of fruits each to three marked stalls in the market. Once they have collected receipts from all three vendors, they can exchange them for their next clue. That clue will only be a photo of a building and monument. 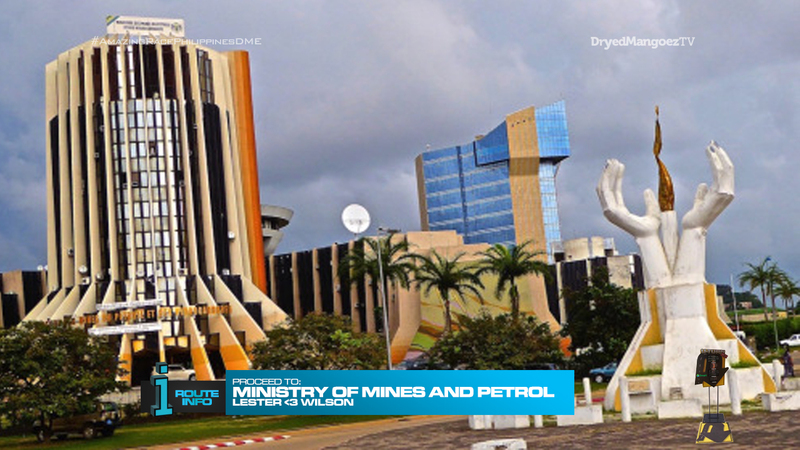 Teams must figure out the photo is of the Ministry of Mines and Petrol building and the Flame of Peace monument. Here, teams will find the Double U-Turn! After checking in at the Double U-Turn, teams must now hop onto a charter flight to Iguela! There is room for three teams on each charter flight. 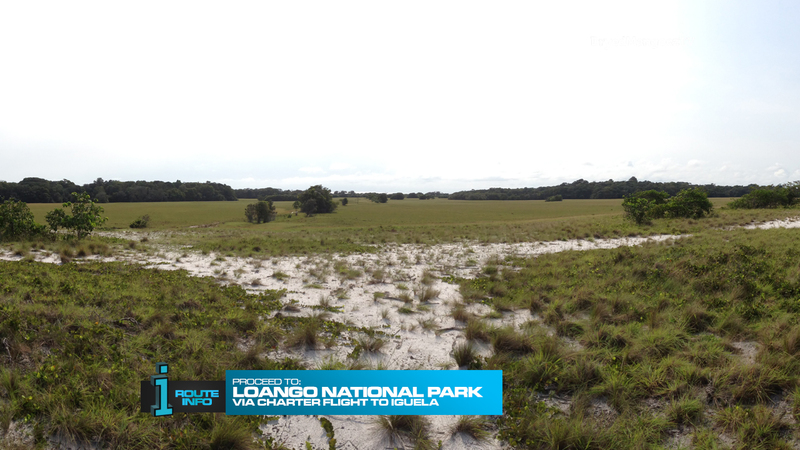 Once they touch down in Iguela, teams must choose a marked vehicle and direct their driver to take them to Loango National Park. Here, teams will find ANOTHER! Detour! Catch or Spot. 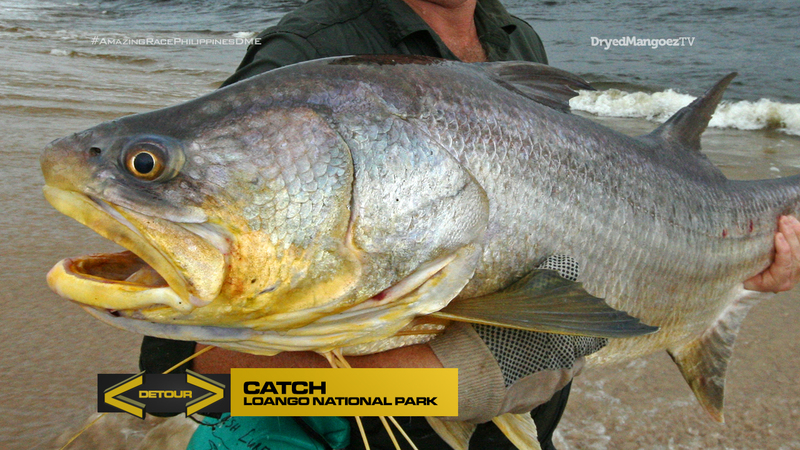 In Catch, teams will join a group of sport fishermen who will accompany them on the water to catch, and then release, three different species of fish. Once they’ve released three fish, they will receive the next clue. 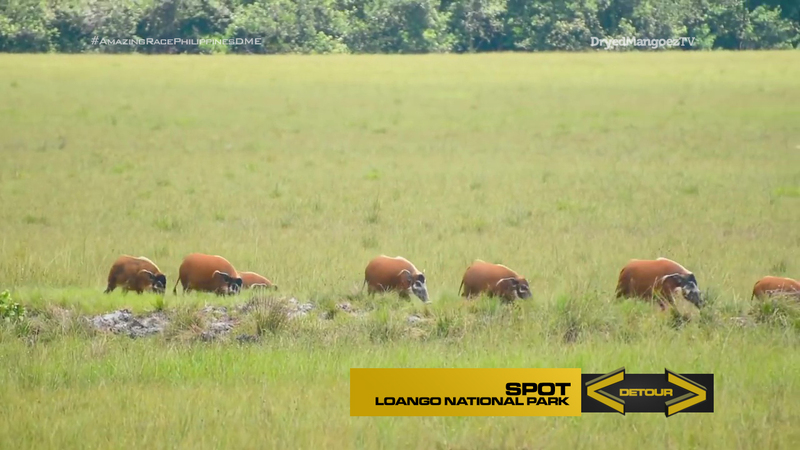 In Spot, teams will be given a brand new Samsung Galaxy Note 9 which they will use to take photographs of different animals who freely roam in this national park. Once they present their photos to the guide at the lodge, they will be given their next clue. That clue is a Double Road Block! Listen to Tradition or Celebrate Tradition. 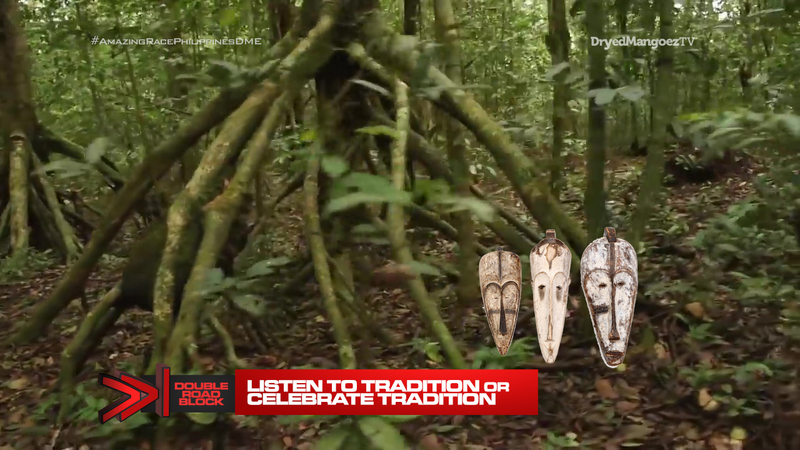 Gabon is rich in folklore and mythology with an oral tradition that lasted until the 21st century. The team member who will Listen to Tradition will first listen to a local who will describe to them the different masks used by the Fang tribe and for which occasions. That team member must then relay the story and descriptions to their teammate who will Celebrate Tradition by searching the area for the correct masks. The Pit Stop for this Leg of the Race! 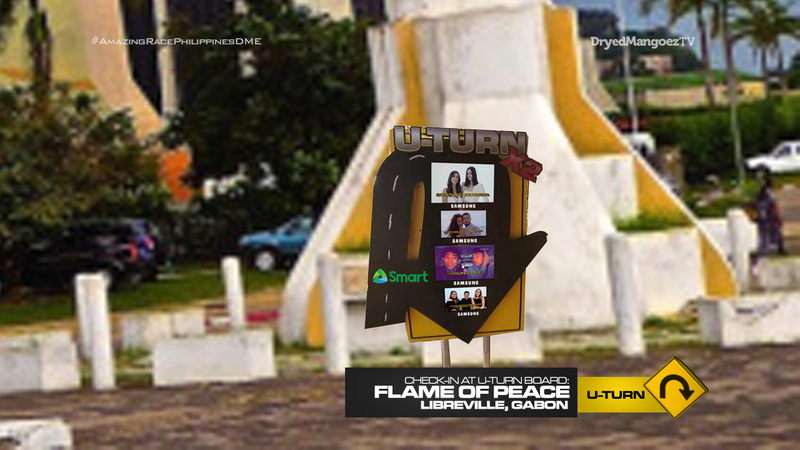 The first team to check in here will win P200,000 courtesy of Shell V-Power Nitro+. So, I definitely wanted to have a Leg in Africa on this Route. And Gabon has been on my wishlist for a while. So I decided to have it here. I definitely think a much better Leg (or Legs) can be put together on an actual scouting trip. But this is a very full Leg and only fair for it to be a Non-Elimination Leg. Both sides of the first Detour are definitely typical market tasks. Both straightforward and nice tasks for teams to do right in the morning and hopefully in a crowded area. The next Detour has us getting the full experience in this stunning landscape. 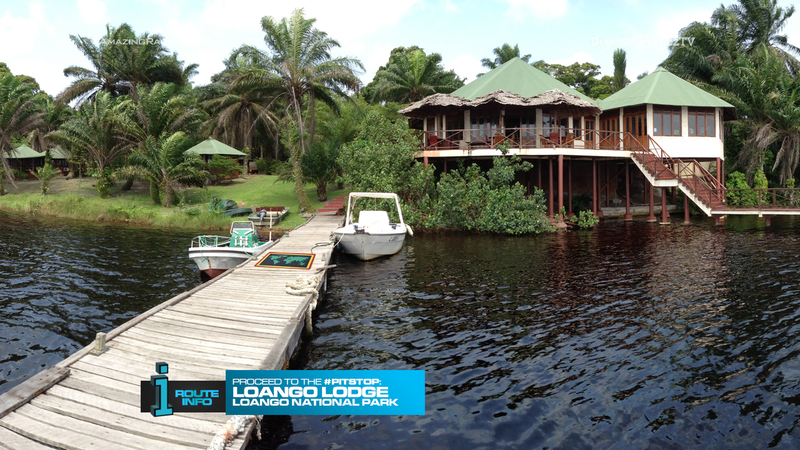 First, sportfishing is very popular here in Gabon. So definitely having a task involving that. And of course, a task experiencing the amazing wildlife as well. The highlight of the Leg though should be this Double Road Block. It’s definitely a familiar task from different TARs. But I think it should be great here. A wonderful cultural task that is more challenging with the memorization and communication needed by the teams. And of course, the Pit Stop at the Lodge. Overall, a solid Leg in Gabon!